The company Wideshot was founded 2010 by Oliver Bertram and Johannes Mücke, based on the idea that the world is demanding creative services that combine architecture and design with the world of entertainment. Since then the interdisciplinary team of Wideshot has been successfully supplying these services to clients all over the world and has built a widespread portfolio from spaceships to corporate offices.Enjoy! We love to think in scenarios – we create ideas regarding all elements of their context and not stopping at the boundaries of the traditional design disciplines. This is why we work from the smallest scale of product design to the largest scale of architecture. Wideshot Design is also one of the leading firms for office evironments in Austria. We understand the world of working as a holistic set of environmental parameters that need to be created as a piece. Wideshot is offering everything from a single source. Simple and reliable. Everything fits together as a complete system. Office design has drastically changed – and Wideshot is at the forefront of this development. Contemporary offices offer a higher degree of freedom, are more universal, more comfortable and more inspiring. Unconventional interiors are the signature of world-leading corporations. We offer the full range of services: concept, layout, design, integration of graphics, tender, construction management and construction site supervision. Our designs have been awarded and extensively published worldwide. What we create is a world to live in, a world that is designed around the people that use it and the people that surround it every day. Our understanding of architecture is holistic and starts from inside out. We learn from our client what the expectations of the experience in this building are and design a perfectly tailored envelope around it. CREATING A STYLE THAT FITS! As designers with a strong emphasis on the customers experience hotel and hospitality projects are one of our best fields. We want to welcome and inspire every guest and make sure everyone feels at home right away. In numerous projects, not only in the "real world" but also in theme parks we have established ourselves to be the perfect partner for your business. Wideshot delivers not only archtiecture and interiors, but we understand also graphics as an integral part of the work. Therefore we also design signage systems and integrate brand identities into buildings and interiors. We understand our ork as an amplifier of great ideas that work in unique places such as theme parks, museums, trade fairs or signature spaces for large corporations. Among our projects is the largest spaceships in Europe, Second Solar, a 35m long, 14m high and 15m wide spaceship in a children's theme park. It was designed and built within 3,5 months and boasts the largest CNC milled curved surface on a built structure in the world. Wideshot is a term from the film industry for a camera framing that introduces a setting in its entirety. This is our philosophy - it is the client’s and the user’s comprehensive experience that counts. We aim to generate environments that create perfect experiences with our architecture and design philosophy. In doing so, we assess and conceive designs from the user or client perspective. Our design goal is to surprise, fascinate, entertain and—to be memorable. There are many fields where design excellence becomes effective and with every innovation and technological invention the spectrum grows. In the entertainment industry we are observing accelerating technological growth, opening space for ever greater fictional environments, intensified experiences and heightened fantasies. The crossover of architecture and medial experience, the advent of online social networking, new generations of theme parks and media-scapes, as well as reassessed concepts for advertising and commercial representation require a heightened sensibility and a new mindset for designers. At Wideshot Design we strive to create scenarios that can be experienced, narrative concepts that drive the design for the specific mission. We offer design excellence for a world of evolution and innovation. We want to support our clients along the way to a successful product with our expertise. We believe that a close cooperation between the client and the design team as well as an integrative design process are key elements for an efficient and productive way of working. This way we can understand and absorb our clients’ core ideas to present solutions, find alternatives and share our know-how. The goal is more than just a designed product. The goal is to develop scenarios with identity for the needs of our clients. Behind the term Wideshot there is a team of about 20 people coming into the firm with different expertise. Most of them are architects, but also we have designers, graphic designers, concept artists and communication designers. This high spectrum of competence allows us to provide a broad range of services on the highest level that sum up in projects that require a holistic approach and incorporate a scenario that includes architecture and a demand of high level communication. 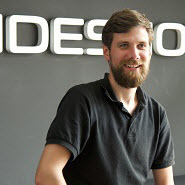 WIDESHOT was founded in 2010 by the two architects and entertainment designers Johannes Mücke and Oliver Bertram. 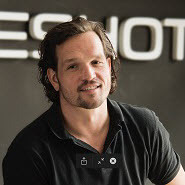 In 2015 Sebastian Kaus was announced to be a managing partner at the Wideshot ZT GmbH. Oliver studied at the ETH Zürich and taught together with Greg Lynn ath the University of applied arts. Oliver worked as a designer and planner for companies like Loturs Renault GP, Audi, Fiat and many more. Johannes studied Architecture at the University of applied arts in Vienna and at the UCLA, Los Angeles. He worked as concept artist at Rockstar Games and with many renowned directors on international film projects. 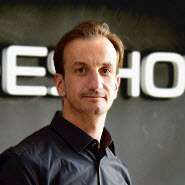 Sebastian Kaus hold an engineers degree in architecture from the University of Braunschweig / Germany as well as an Magister of Architecture from the University of Applied Arts in Vienna.